Since 1865, this delicious aperitif wine has stood apart for its exceptional complexity, delightful flavors and stimulating palate. Serious to its role as aperitif, it was known as "ouvre l'appétit" - the key to the appetite. 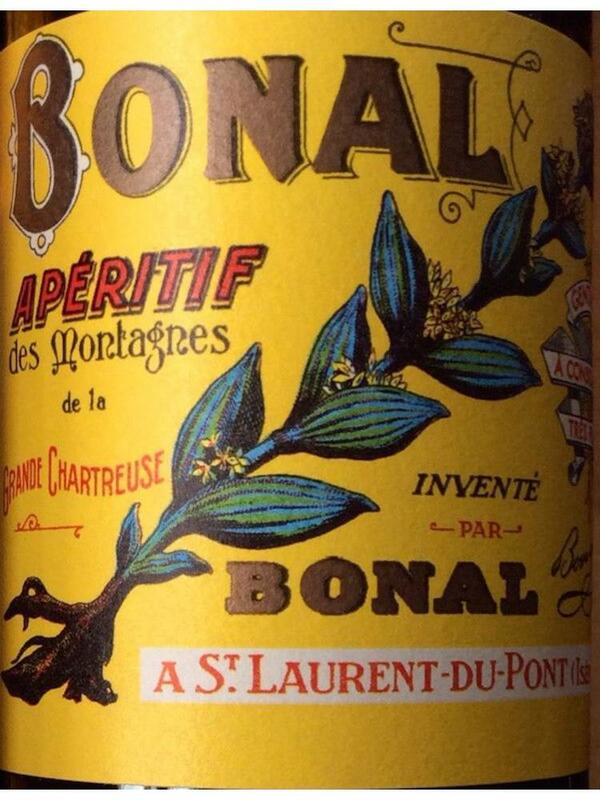 Found popular with sportsmen, Bonal became an early sponsor of the Tour de France. It is made by an infusion of gentian, cinchona (quinine) and renown herbs of the Grand Chartreuse mountains in a Mistelle base. Traditionally enjoyed neat or with a twist; also may enhance classic drinks in place of sweet red vermouth. Hauz Alpenz. Bonal Gentiane Quina shares many characteristics with vermouth, amari and chartreuse. That’s because it’s an infusion of gentian root, cinchona (quinine) and herbs of the Grand Chartreuse mountains, all in a Mistelle base (fortified wine). Mistelle is the result of adding alcohol (usually brandy) to the juice of crushed grapes rather than fermenting them to produce the alcohol. This technique offers a sweeter, fresh fruit tone since the fructose hasn’t been converted to alcohol. 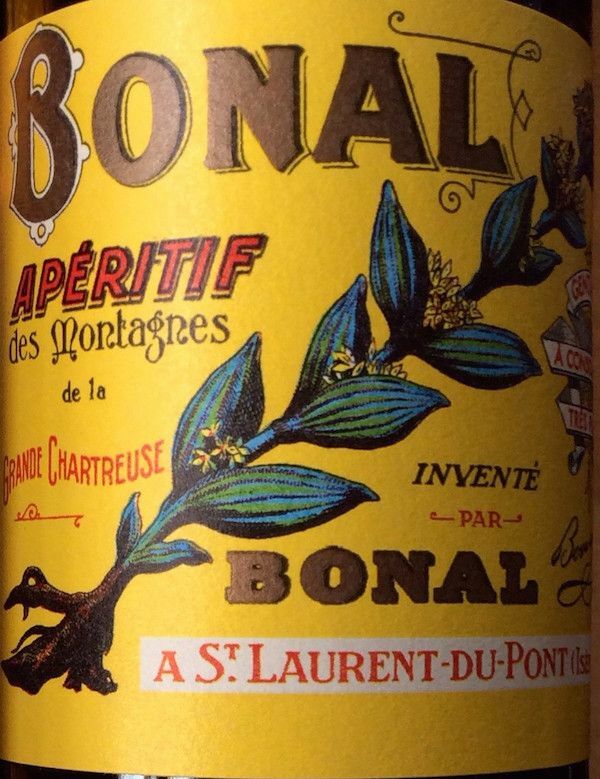 Bonal Gentiane Quina has a reddish brown color and an upfront smell of prunes or raisins. Upon sipping I first noticed flavors of raisins/grapes. The mid-palette contains the bitter elements from the gentian root and cinchona. It finishes sweet with grapes and hints of cherry and licorice.